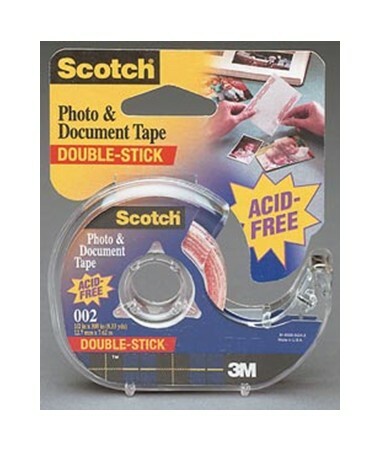 The Scotch Photo And Document Tape is a perfect tool for mounting photographs, documents, and other memorabilia. It is a double-stick tape with ½-inch width. It is 300-inch in length and can be used for different crafting projects with its transparent color. An ideal tape for scrapbooking, the Scotch Photo And Document Tape sticks permanently. It is independently laboratory-tested to provide archival quality. With its acid-free and photo safe adhesive, it keeps memories secured and well-maintained for a long period of time.